I have always loved arts and crafts so when I get a chance to do this type of activity with my grandchildren, we all have a great time. 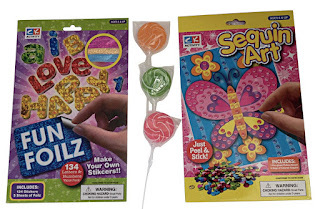 One of our newest arts and crafts projects was the Fun Kids Butterfly Sequin Art Kit. 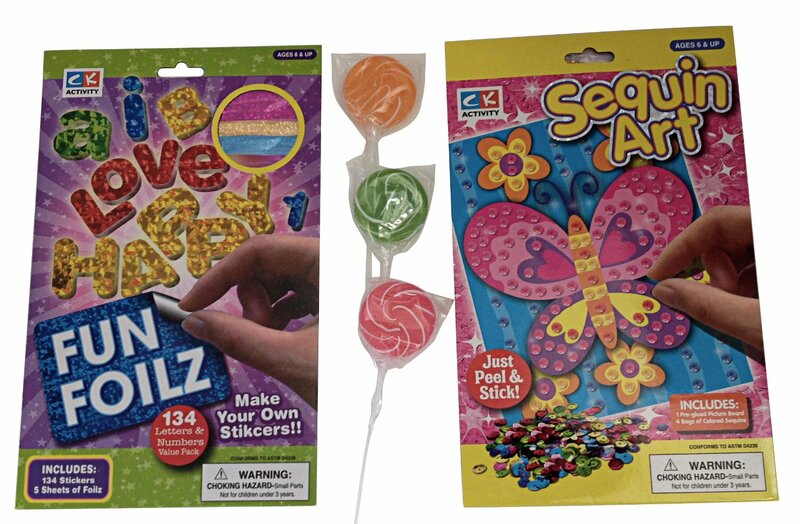 This Kids Craft Set Sequin Art and Foil Sticker Kit includes the Butterfly and Love Foilz Craft Kit and includes 3 Assorted Lollipops for Fun. Although two of the three suckers arrived broken, the girls still enjoyed them. I needed to supply a couple additional suckers for the other kids, but that was expected since this kit probably isn't intended for as large of a group as I had here. The kids did enjoy putting these together, although I had to help the younger ones with parts of it. Even so, it did keep them occupied for a while and having fun with it. I did think that it was a bit pricey for what we got, but maybe that is just me.